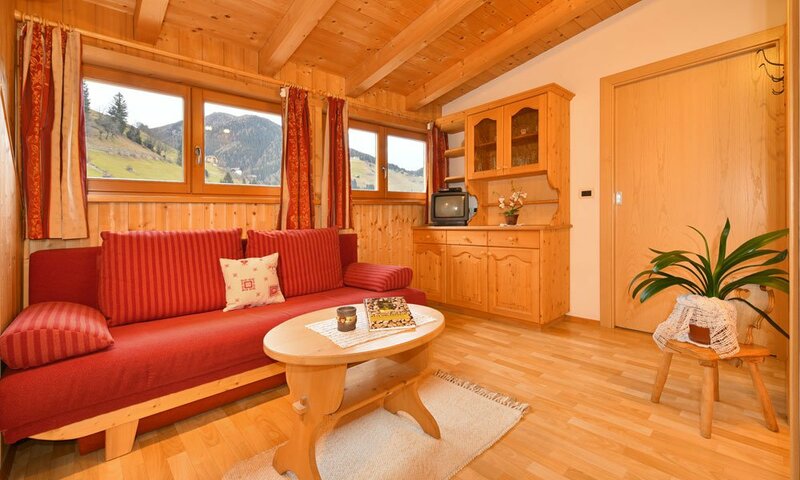 In our farm there are two modern furnished apartments, which fulfill all comfort desires. The refined apartments in Enneberg have a lounge, a kitchen and a bathroom. In the evening relax in front of the TV or enjoy a good book from the local library. Balcony or terrace? You have the choice. 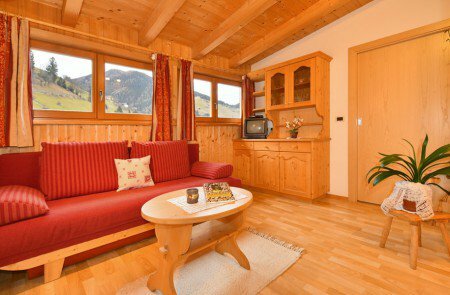 Each accommodation has a private balcony, so you can enjoy breakfast in the morning while enjoying the beautiful mountain scenery. In addition, you will find a terrace and a meadow in the outdoor area, so that you can spend a relaxing day on the farm. 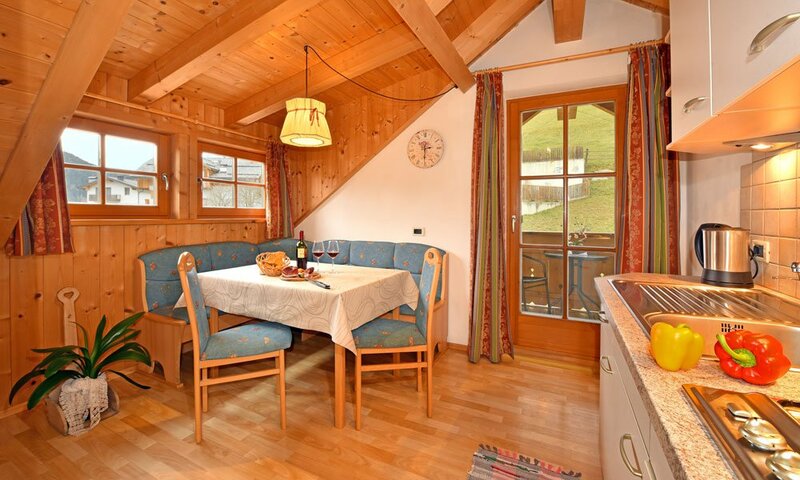 The two apartments are perfect for four or five people. 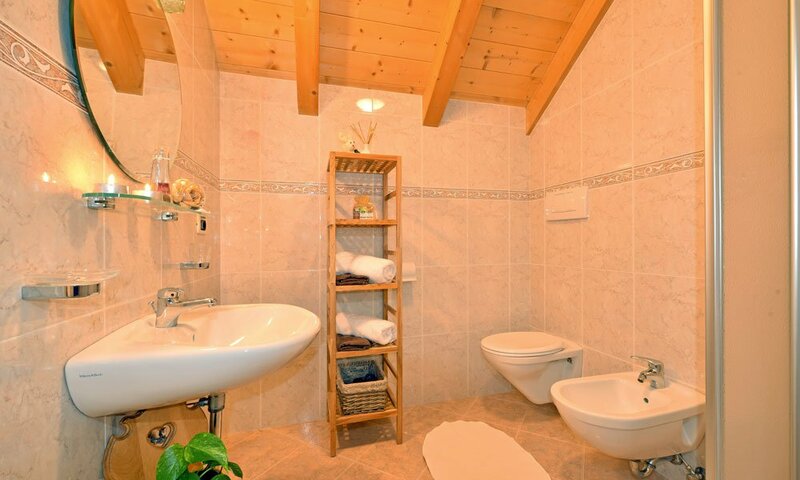 In the bathroom there are a shower, a washbasin, a toilet and a bidet. In the fully equipped kitchen you will find everything you need to prepare a delicious meal with local and regional delicacies. 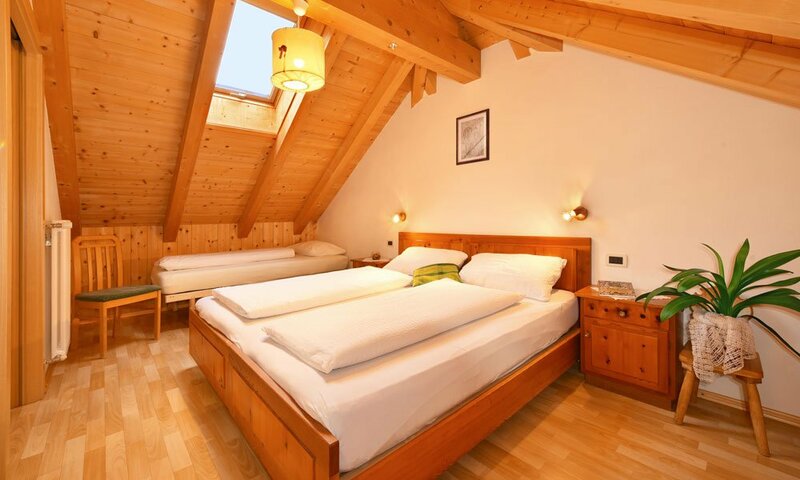 In order to ensure you are well catered for, we offer you fresh towels, bed linen and, on request, children’s beds and children’s seats for the younger guests. All apartments have a modern bathroom, gas stove, coffee maker and toaster. A washing machine is available for free for all our guests in the laundry room. In the apartments you will find a bed sofa and a sitting corner so that you can relax in the evening after an exciting day. Enjoy the evening watching TV, surfing the internet or playing games with your family. The owner of the house is always ready for a “play” and offers you the chance to try the homemade schnapps.